Welcome to Taberg and its surroundings!. 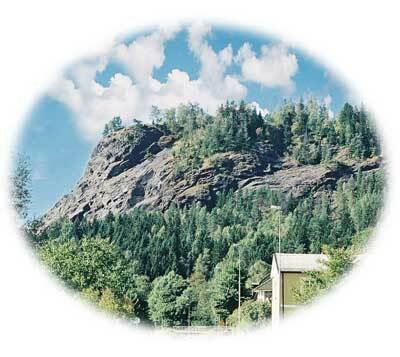 Welcome to the miracle in Småland, as Carl von Linné, the father of plant names, called Taberg. Not only that you can see almost all of Småland from the top, or rather 70 kilometers in all directions when the weather permits it, but on the sun warm south east side of the mountain you'll find vegetation from the Alps in Europe -- and if you look closer on the Hotel Taberg, it's unavoidable to miss the link to the Alps. It's of course here the town has settled. Regardless if you call Taberg a miracle, a piece of iron or a meteorite, one thing stands still: Taberg is tops!